The Titans have been working and thinking all week about if they want to place a tag on a player before free agency, and ProFootballTalk.com reports that the team is going to keep on thinking about it before Free agency starts. 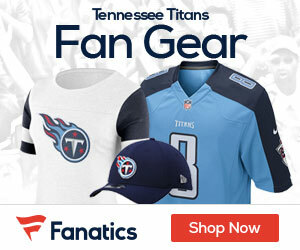 With defensive tackle Albert Haynesworth contractually ineligible for the franchise tag, the Tennessee Titans are weighing whether to use it on one of two other players. Specifically, the Titans could apply it to kicker Rob Bironas, or to tight end Bo Scaife. “I think we’ll go up to the very end to determine whether or not we’ll do that,” G.M. Mike Reinfeldt said, according to the Nashville Tennessean. Another key free agent, quarterback Kerry Collins, surely isn’t a candidate for the tag because it would require the team to tender a one-year contract worth $14.65 million.